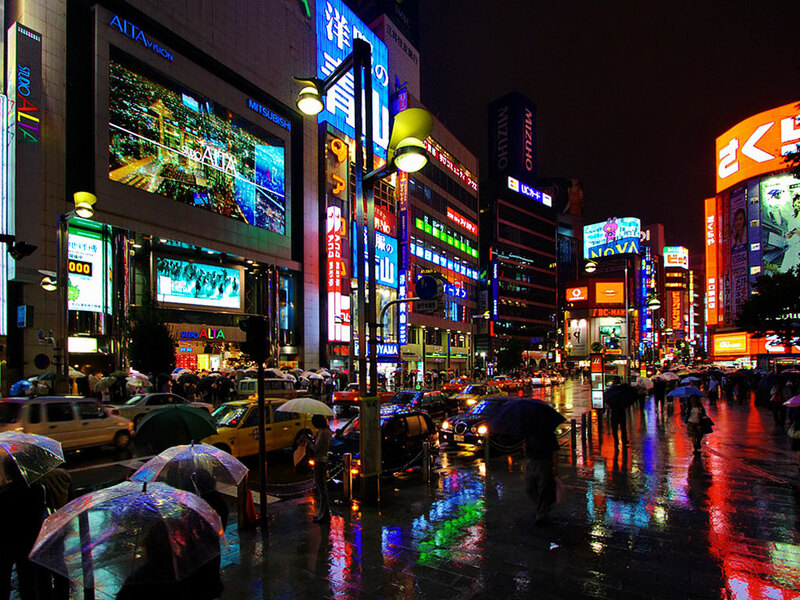 Prior to anything else, you’ll need to arrange for the necessary travel documents in order to get to Tokyo. In general, if you’re not aiming to participate in any money-earning activity while you’re in the country, you are not required to obtain a visa. Upon arriving, you’ll be given a temporary visitor visa known as tanki-taizai. American citizens will be issued a 90-day tanki-taizai, and the same goes for citizens of New Zealand and Australia. You can also consult the nearest Japanese embassy or consulate in your country for more details on visas and regulations. You can also browse the Japan Ministry of Foreign Affairs website (www.mofa.go.jp) to get additional information. Once you have all the information you need about visas, it’s time to determine how you’ll get to Tokyo. This won’t be much of a problem since most intercontinental flights from all across the world going to Japan land in its capital city. You’ll find two airports in the area. The main gateway for international flights is Narita Airport, while the center for domestic travel is Haneda Airport. Narita Airport is approximately 66 kilometers away from the capital. Though it is inconveniently situated, the airport is outstanding in every other way. It features lots of facilities offering useful services such as baggage-courier services, duty-free shops, restaurants, currency-exchange counters, post offices, shower rooms, free playrooms for kids, and tons of information counters. There are also plenty of ways to get to Tokyo from the airport. The easiest is through riding a limousine bus which will take you directly to any of the major hotels. You also have the option of taking Japan Railways to Tokyo Station, where you’ll be able to switch for almost any place. Lastly, you can also get a cab to take you to the city. This can be quite expensive, though, with fares reaching as much as ¥30,000. Haneda Airport is more conveniently located compared to Narita Airport. Unfortunately, Haneda doesn’t cater to international flights anymore. It is still useful if you’re flying in from domestic places. Though the domestic airport’s services infrastructure cannot rival that of Narita, it does have baggage-shipping companies, banks, and post offices for your convenience. The best way to get to the heart of Tokyo from Haneda Airport is to take the JR monorail to Hamamatsuch? Station. Limousine buses and taxi cabs are also available. Once you’re in Tokyo, it is pretty easy to get around with the multitude of travel options before you. The metropolis has one of the world’s most extensive mass transit systems and one of the most efficient, cleanest, and safest you can find. Admittedly, the transit system can be a bit confusing because of the number of different railway systems operating in the city. If you can’t figure it out, you can always ask around. Also, if you plan to be out late, be sure to check the schedule of the last trip. You might end up stranded halfway to your destination if closing time comes around. If possible, try to avoid traveling during the city’s rush hour. Other transportation choices available include taxis, buses, and trams. If you only have a few hours to explore, Harajuku is one-stop tourist region where you’ll find countless spots worth visiting. Known worldwide for its distinctive fashions, Harajuku can be found at the center of Tokyo and is a district that features some of the best and the brightest names in the fashion industry. There’s Chanel, Dior, Burberry, Bvlgari, Armani, Gucci, Louis Vuitton, and a few other high street fashion brands. There are also numerous other stores where you’ll find just about anything you want such as electronics, watches, cosmetics, jewelry, and countless others. While Harajuku is famous for its world-class shopping, it is also home to one of Tokyo’s most popular shrines – the Meiji Jingu Shrine. The shrine is set amidst a 175-acre evergreen forest where approximately 365 tree species can be found. Built to honor the souls of Emperor Meiji and Empress Shoken, the shrine is constructed in the Nagarezukuri style in the area the emperor and his wife sometimes visited. The shrine is made of Japanese cypress, which is regarded as the country’s best timber. Other spots in Harajuku that are worth your time include the Togo Shrine, the Yoyogi Park (one of the most enormous parks in the city), the Harajuku Bridge (where you’ll get to see Harajuku Fashions worn by girls and boys on a Sunday), the Yoyogi National Gymnasium (an arena with an astonishing suspension roof design), and lots of other Harajuku landmarks. Situated in Ry?goku next to the country’s most famous sumo wrestling area, Ry?goku Kokugikan, Edo Tokyo Museum is where you’ll be able to glimpse the rich history of the capital. The highlights of the Edo Tokyo Museum include the life-like model of the bridge that led into Edo (the Nihonbashi) as well as the Nakamuraza Theater. Founded in the year 1993, the museum is also where you’ll find scale replicas of the town and infrastructures during the Sh?wa, Meiji, and Edo periods. If you’re wondering what the museum’s building was modeled after, you’ll be interested to know that it gets its distinctive and elevated form from an ancient storehouse built in the kurazukuri style. Home to the country’s head of state, the Tokyo Imperial Palace is definitely a sight for anyone’s eyes. Set in the world’s most costly square kilometer, the palace grounds and gardens are enclosed by moats and walls which date back to the year 1613. The site on which the palace stands is where Feudal Lord Ota Dokan constructed the first fortress in 1457. That fortress acted as the center from which Edo (as Tokyo was named then) steadily stretched outwards. If have a never-ending love affair with cherry blossoms and gorgeous gardens, you shouldn’t miss out on visiting one of Tokyo’s most beautiful parks – Shinjuku Gyoen National Garden. Within this aesthetically designed park are 1,500 cherry trees and other plants set out in Japanese, English, and French garden styles. You don’t have to travel to Paris just to get an Eiffel Tower experience. Tokyo has something similar (and taller) to offer you – the Tokyo Tower. The structure’s design is patterned after its Parisian counterpart, yet it is 9 meters higher. Featuring a public observation deck and café, Tokyo Tower is the perfect site for you to get a bird’s eye view of the amazing city. Tokyo offers a number of other tourist attractions like their own version of Disneyland, Tokyo National Museum, Sensoji Temple, The National Art Center, Asahi Beer Hall, Ryogoku Kokugikan, and plenty of other choices. Whatever it is that warms your heart – art, history, shopping, sumo wrestling, shrines, Japanese cuisine, or gardens – Tokyo definitely has it. Tokyo sure is vibrant, huge… don’t get lost and make sure you have enough money and know a few sentences and words in Japanese! Aweseome city, one of my favorites!